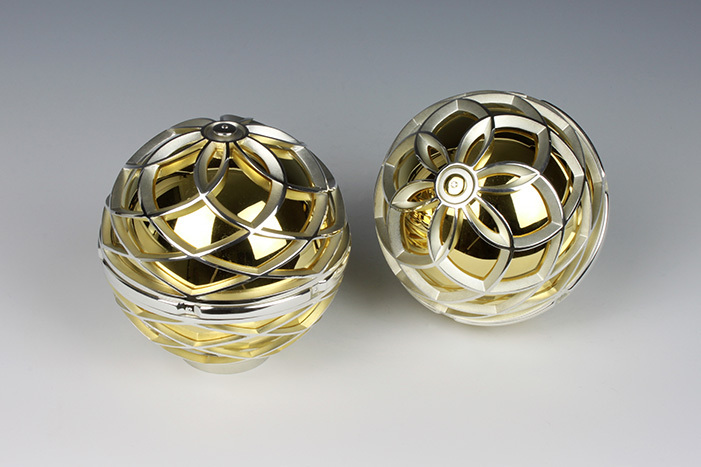 The ‘Luxus’ Salt & Pepper Grinders were originally made for a special dinning exhibition at Christies Auction House, London, to showcase the very best in British contemporary silver. 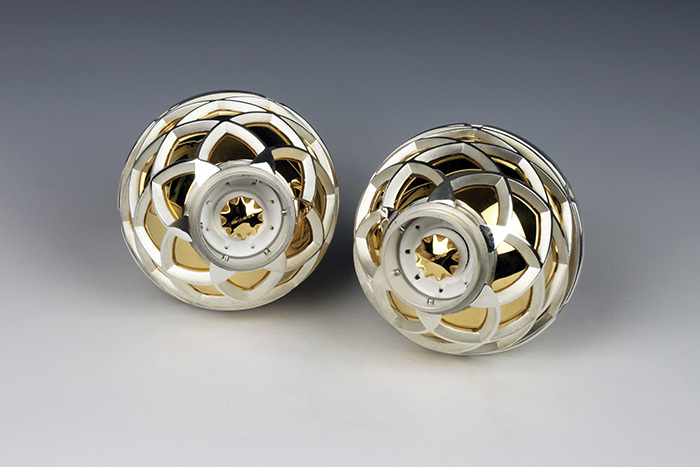 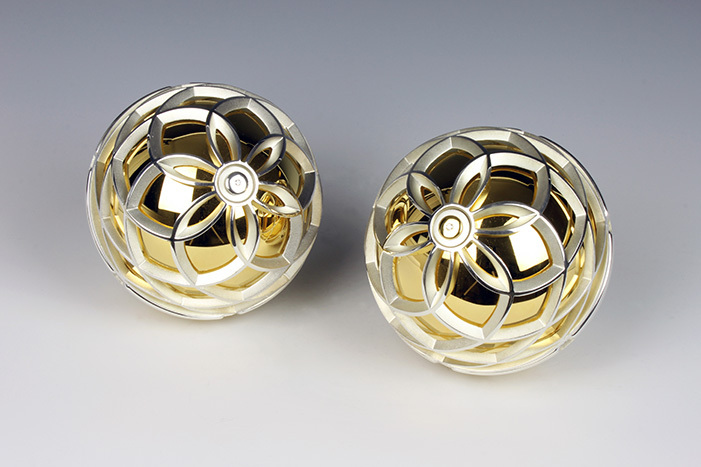 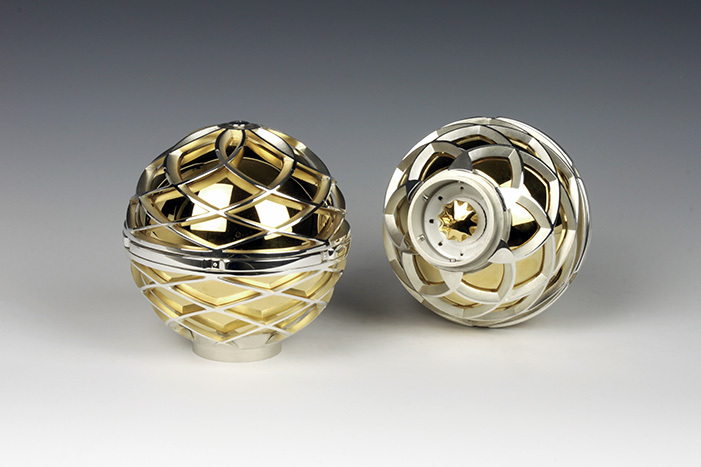 The diamond set, part gilt, sterling silver grinders weigh approximately 1.25kg each, and are made using a mixture of traditional silversmithing techniques, as well as CNC milling and rapid prototyping. 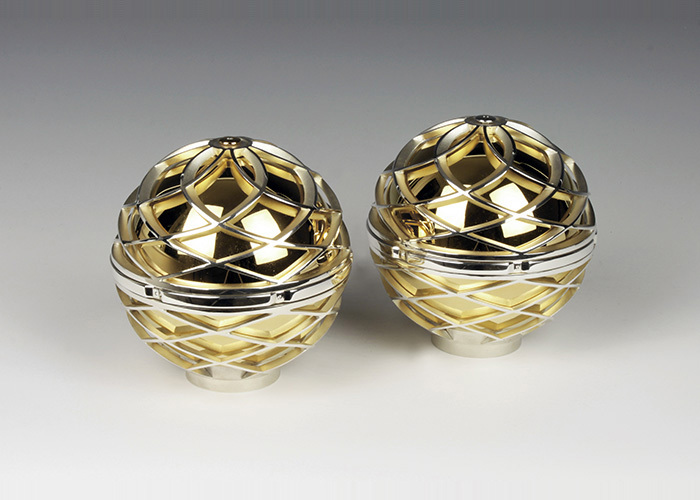 The pieces are highly engineered works of art and are fitted with adjustable ceramic grinding mechanisms which control the dispensed granule sizes of both the salt and pepper.